We’ve got all the tools of the trade for data-driven, documented ABA techniques and strategies. This week only, take an additional 15% off these essentials for supporting your classroom! 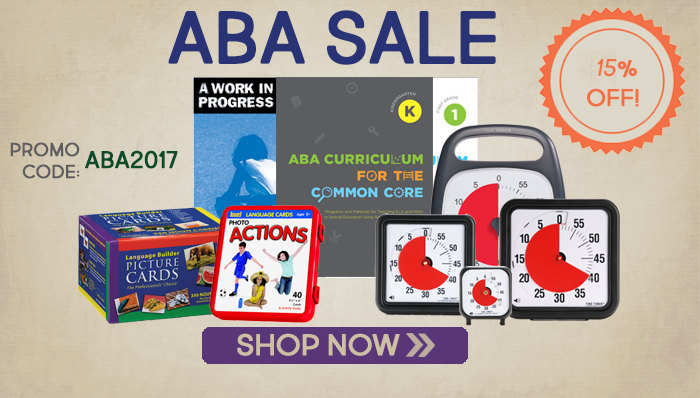 Just use promo code ABA2017 at checkout. Written by: Different Roads to Learning on February 21, 2017. This entry was posted in ABA, Applied Behavior Analysis, Pick of the Week by Different Roads to Learning. Bookmark the permalink.